WPMC attend the third BioBlitz held by Phipps Conservatory in Schenley Park. There was some early rain but the weather did not follow some of the forecasting and the really heavy rain stayed away until after the event. We held two walks in the afternoon attended by about 25 people total. We took the first group down to Panther Hollow finding a variety of species including many of the smaller specimens like the slime molds and small ascomycetes Eyelash Cup mushrooms. The second walk was around mature oaks surrounded by grass in the park opposite Phipps where we found the larger mycorrhizal species. There were a number of species that had not been previously identified by the club before. Many of the mycorrhizal species seem to be about 3 weeks ahead of an average season. I have only seen the Amanita minutula (nom provisional) at Harrison Hills park so it was great to find it at a different location. 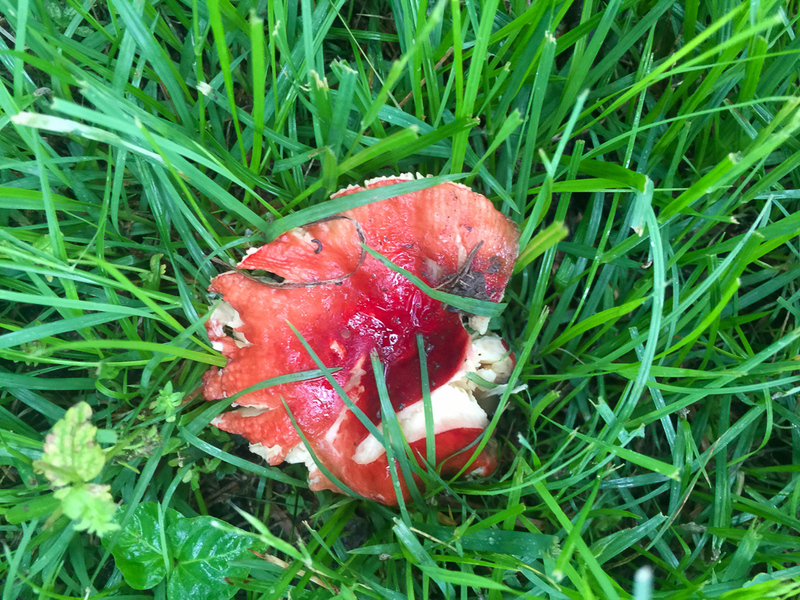 We had had enough time during the day to ID a red capped Russula that falls to bits when you pick it up, Russula tenuiceps, this was new to us but probably grows everywhere. We also identified Inocybe unicolor which was formally known as Inocybe caesariata but that’s the European name. Species list entered by Richard Jacob. Species identified by Richard Jacob, Jim Wasik and LaMonte Yarroll. Small white Coprinus at base of plant.